Hing is available in three forms – powder, pieces and gummy paste. It is acrid and bitter in taste used only in vegetarian dishes. This spice is used as a digestive aid and its odour is so stong when it is uncooked. However it becomes milder when fried in oil and gives wonderful taste to curries. Generally in Indian cooking, it is used in dal, chutney’s, sambhar , pakodas and in tamarind pulihora. 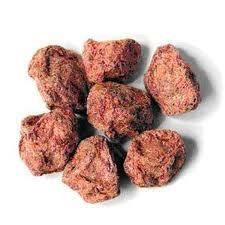 It is used very little (a pinch) in curries due to its strong, pungent smell. In the Indian system of medicine, it is used mainly as an appetizer and as a digestive, anti – flatulent, and an anti –worm agent. 2. It contains sulpher and it is applied on skin for allergies, pruritus and rashes. 3. Hing is applied on scorpion bite as a first aid as it absorbs the poison. 4. A pinch of hing taken in a glass of butter milk gives immediate relief to minor stomach upsets. 5. A mixture of hing, ajwain and rock salt (all powdered and mixed) can cure amoebiasis, irritable bowel syndrome and gastritis. 6. Two grains (1/8 gm) of hing mixed with 4 ounces (1/4 litre) of goat’s milk and a 1 tbsp of honey taking daily thrice for few months is beneficial for functional sterility, painful menstruation, profuse bleeding and white discharge and habitual abortion. 7. A grain (1/8 gm) of hing with a teaspoonful of infusion of cloves 3 times a day for few months after child birth increases lochia and secretion of breast milk. 8. 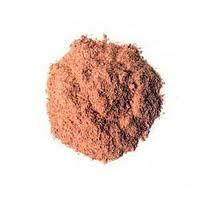 It also prevents flatulence and helps in digestion. 9. The dried gum mixed in water helps in headache and in treating migraines and tensions. 10. · Hing helps in spasmodic afflictions of the respiratory track such as whooping cough, chronic bronchitis and asthma.